How important is a healthy smile to your overall wellbeing? Consider this: when gum disease, one of the most common oral health problems, is left untreated, it can increase your vulnerability to other kinds of health problems, including heart disease, Alzheimer’s, stroke, diabetes, and certain pregnancy complications. But with regular checkups and cleanings, Dr. Jorgenson can help you treat or even prevent the most common oral health problems before they ever reach that level. Our Costa Mesa dental team recommends that patients, regardless of age, see Dr. Jorgenson at least twice a year for a regular visit. At each appointment, we’ll complete a comprehensive cleaning and exam. 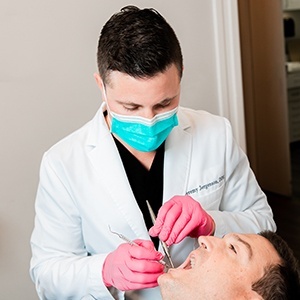 The cleaning will remove unwanted bacteria and plaque from your teeth and gums, while the exam will give us a chance to look for any developing issues we need to treat. But cleanings are just the beginning of what we offer as a general and family dental office. We also offer gum disease therapy, laser dentistry, oral cancer screenings, root canal therapy, and treatment for sleep apnea. 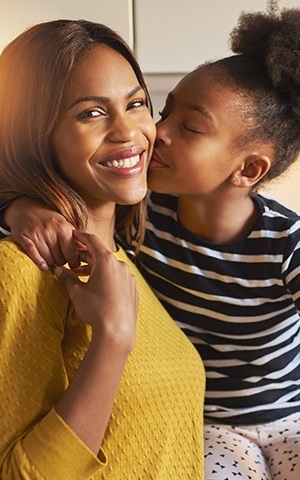 With this comprehensive listing of services, we’re confident we can help everyone in your family build and maintain a healthy smile. Why Choose Advanced Dental Care for Preventive Dentistry? Most oral health problems have very subtle signs in the beginning that are easy to miss. By the time you actually notice a problem, the decay or damage may already be quite advanced and require extensive treatment. Coming to see us regularly for checkups and cleanings will ensure this never happens to you or your loved ones. Our dentists will keep a close eye on your teeth and gums, and our hygiene team will remove harmful plaque from those hard-to-reach areas of your mouth to keep you cavity-free. About 50,000 people are diagnosed with oral cancer every single year, and sadly, only slightly under 50% will survive the next five years because the disease wasn’t caught until it was already very advanced. Early detection is essential for surviving oral cancer, and the best way to catch it is to come see us here at Advanced Dental Care for regular checkups every six months. Our team’s trained eyes will be able to spot even the slightest sign of cancerous tissues in your mouth, ensuring you’re able to get the treatment you need as soon as possible. Bruxism, or nighttime jaw clenching and teeth grinding, is much more common than you might think. In fact, about 1 in 3 Americans will experience it at some point. Left untreated, this can cause the teeth to wear down to the point that they actually break! If you suspect that you might be grinding your teeth while you sleep, we can put a stop to it using a custom-made nightguard. 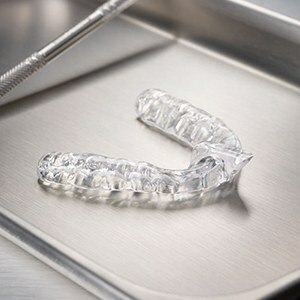 This is a small appliance worn to bed that will keep your teeth protected while you rest easy. Checkups and cleanings with our team are great, but in reality, 99% of your dental care actually occurs at home with regular brushing and flossing. Are you and your family using the right products for your smiles? 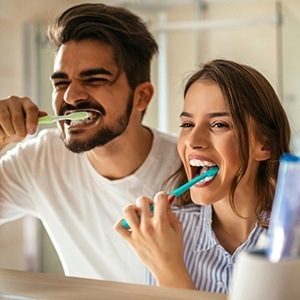 Our hygiene team can recommend which toothbrushes, toothpastes, and flosses are best for you and your loved ones based on your particular needs at your next appointment. We can even provide you with products from some of the most trusted brands, including Crest Oral-B and Sensodyne. Do you have a painful cold sore near one of your lips that is causing you to feel self-conscious? How about a canker sore on your tongue that is a constant annoyance? We can use laser treatment to quickly relieve this kind of pain and drastically speed up healing in both situations. Instead of just waiting for a sore to go away in about a week or so, we can help it disappear in just a few days. Your temporomandibular joint, or TMJ, is the set of hinges located right below your ears that allows your lower jaw to move freely in all directions. If you’re experiencing a stiff jaw, chronic headaches, or frequent earaches, you may have what is called a TMJ disorder, or TMD. This can be the result of inflammation, arthritis, or even a misaligned bite. 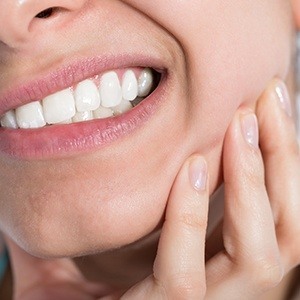 Fortunately, our team is able to diagnose and treat these kinds of issues using noninvasive methods proven to relieve pain as well as improve jaw function. Sleep apnea is a disorder where someone briefly stops breathing multiple times throughout the night, leaving them exhausted in the morning. This condition affects more than 25 million Americans, and if this includes you, we’re ready to offer a simple solution. We can provide patients with a custom-made oral appliance designed to keep their airway open while they sleep, enabling them to breathe normally, rest deeply, and wake up ready to take on the day. Are you looking for gentle and compassionate care for your entire family? Call our Costa Mesa office to reserve an appointment with Dr. Jorgenson. We are happy to serve patients from Irvine, Newport Beach, Huntington Beach, and beyond.